Why was 10 scared of the 7? Cos seven, eight, nine. Atkins pledges 30% female board members by 2015. CIC Workshop: Constructive Women - How do we increase the number of women professionals within the construction Industry? What's your solution for the skills gap? BH Maintenance is now in business! The pink list; recognising leaders in the gay and lesbian community. So let’s stop and think about numbers a little. New research looking into women on boards 6 months after the Davies report has found an increase in the numbers of women being appointed which is of course good news, but with only two built environment companies Arup and Atkins making any noise about board room gender targets are we in danger of falling behind as an industry? The report showed that the majority of women in the board room were in non exec positions emphasising the need to consider retention across the pipe line, which means looking at how we support the women we already have in industry. Whilst only 30% of women who leave industry early state maternity or childcare as a reason it’s still worth considering if more could be done in this area to attract and retain the best talent; our feature in Construction Manager considered this and found as an industry we are lagging behind. As always if your company is working to improve do tell us so we can highlight your endeavours and if you don’t know where to start get in touch we’d be happy to help point you in the right direction. Interesting to see how the Davies report has affected appointments to the FSTE 100. The 6th month monitoring report was published last month with a lot of the focus put on the rise in appointments, which is of course good to see but we would of course be interested to know a bit more about the retention of individuals in this short term. We particularly enjoyed the statistical play that championed the rise of women on boards to an encouraging 14.2% whilst also stating that ONLY 14 out of the top 100 companies were exclusively male. Read Department for business innovation and skills press release around the report. From January the specific equality duties require that, public bodies and their contractors; this includes construction firms undertaking construction works etc. Will be required to publish information showing how they have considered diversity in the formulation of their policies and the delivery of their services. In April, they will also need to publish their key equality objectives. We understand these new regulations might be a little confusing for those on the first rungs of the equality ladder so please do get in touch for some free advice from Constructing Equality. The equality and human rights commission (EHRC) have put up an online resource to help companies understand the equality act. Go to Equality act online starter kit if you have further questions arising from the kit and how it relates to construction email us at Constructing equality for specialised advice. Whilst this survey is not in any way specific to the built environment we felt that it would be a valuable tool for those looking to bench mark particularly those looking to implement positive action programmes. The Integrated Household Survey (IHS) is the largest social survey ever produced by the Office for National Statistics. It covers a number of themes including health, education, migration, housing and employment. The Government has pledged invest an additional £300 million into childcare support under Universal Credit, on top of the £2 billion already spent under the current system. You may remember a while back a number of articles regarding Pregnancy in the newsletter; Off of the back of those we have just published an article in construction manager on maternity and construction. We were aiming to help firms understand the law, parents understand their rights and for everyone to understand the importance of the business case around supporting parents working in the industry. WS Atkins plc has confirmed that it aspires to have one third of its Board members as women by 2015. In response to Lord Davies of Abersoch's call to chairmen to publish their goals, Allan Cook, chairman said, "Our Board believes in the benefits of greater gender diversity and is actively supportive of measures to achieve this without putting quotas in place. Indeed, women currently account for 22 per cent of our Board. Our focus will remain on attracting the right talent and skills irrespective of gender or ethnicity." In its 2011 Annual Report, the Group reported its progress towards achieving greater diversity in its Board composition. Today, the Board's make-up reflects the increasing internationalisation of the Group with directors demonstrating diversity of perspective, experience, thought, gender, ethnicity and nationality. Some of you may find interest in this DWP report looking into the recruitment of disabled workers. In September 2011, the Department for Work and Pensions published ‘A qualitative study exploring employers’ recruitment behaviour and decisions: small and medium enterprises’ by Jacqueline Davidson. We have a call for response from Jackie Casey looking into differences/similarities between managers and leaders in construction in terms of their psychological profile in order to define a ‘model’ which may identify Construction leaders of the future. The analysis will look at the ability, behaviour traits and motivation/occupational interest of modern leaders in construction. People who participate will receive their own in depth Personality profile free of charge which normally would cost approx £300, It is totally confidential and it may give you an insight into your own personality and why you think, do and feel the way that you do. This survey is looking to understand the pressures on employers when it comes to accommodating for cultural differences in the workplace. Make sure your constraints are recognised by taking the time to fill it in. The European Network Against Racism (ENAR) is conducting a survey on reasonable accommodation of cultural diversity in the workplace. Through this survey, ENAR wants to evaluate how reasonable accommodation can help combine the needs of employers with the improvement of working conditions for migrants, ethnic and religious minorities. The CIC Diversity Panel are pleased to present a FREE event which aims to bring together representatives of all the professional institutions and key stakeholders within the built environment to discuss how we can jointly improve women’s access to the professions at every level and improve diversity for all across the construction industry. Speakers will include Angela Brady, President of the RIBA; Andy Ford, President of CIBSE and Allan Cook, Chairman of Atkins and Kath Knight, Group Human Resourcing Director of Mace Ltd.
• Ways in which we can raise the number of women at board level. • Ways in which the industry can attract a more diverse workforce. • Ways in which CIC can support the Institutions in developing their own action plans. Breakout groups will be asked to consider these and other topics for inclusion in an action plan template for consideration by the professional institutions. Women in Transport Winter Reception Tuesday, 6th December From 6.30pm to 9pm Central London venue- to be confirmed. Confirmed speaker John Armitt; Chairman of the Olympic Delivery Authority for the London 2012 Olympic Game with Sue Kershaw Executive Head of Programme and Contract Delivery, Olympic Delivery Authority Transport Team. The Institution of Mechanical Engineers are holding a debate looking at equality and the skills gap on the 2nd November from 18.30, 1 Birdcage Walk, London, SW1H 9JJ. First published in property week Moves are afoot to support those who fall victim to what is arguably property’s last taboo. Law firm Taylor Wessing and property consultant Tuffin Ferraby Taylor hosted a networking event for lesbian, gay, bisexual and transgender (LGBT) property professionals at the law firm’s 5 New Street Square office in London’s Midtown. The first event of its kind run by the companies attracted 80 attendees, among them surveyors, planning experts, valuers and lawyers from all levels of property firms. This drive was inspired by the poor showing from the sectors in its 2011 Workplace Equality Index, published in January, where property companies were missing. 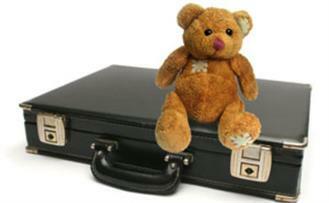 The list was topped by the Home Office, followed by Lloyds Banking Group and Ernst & Young. Although Stonewall says it works with 600 companies to help them develop a better approach to diversity, only two of those — Lend Lease and Kier — are from property or construction. The time is coming up for the next CIOB-Novus Social which will be the Office of Metropolitan Architecture/Progress exhibition at the Barbican Art Gallery. Email M.Looi-Parish if you are interested in attending they plan on purchasing a group of tickets once the numbers have been finalised. 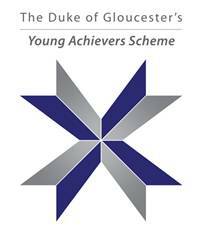 This brand new awards scheme, organized by Construction Youth Trust with the support of their Patron, HRH The Duke of Gloucester, aims to identify and celebrate the success of exceptional young professionals. We have been made aware of the following vacancies by Willmott Dixon. Please note that we do not endorse individual companies rather make individuals aware of vacancies that welcome applications from underrepresented groups. "Willmott Dixon Group is the UK’s second largest privately-owned construction, regeneration and support services company. BH Maintenance Ltd is the newest social enterprise to launch from the Blackburne House group. A business run by women for women, BH Maintenance is an extension of the current Construction Training Academy, providing women with Construction skills training and real work experience within an under-represented sector; construction, maintenance and repair. All female operatives trained to maintain your home! The Local Authority Building Control ABC Trainee of the Year – Andrew Little Award, has been given to Natasha Hrab of Calderdale Metropolitan Borough Council. 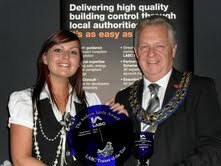 The award is named after Andrew Little, Bristol City Council’s former Chief Building Control Officer and former DSA President. Natasha joined Calderdale MBC in October 2008 as a trainee surveyor, and last year gained an HNC in Construction at Bradford College . As well as working full time for her local authority she is now studying for a BSc in Building Surveying at Sheffield Hallam University. Her managers describe her as dependable, enthusiastic and helpful, and she is already regarded as an invaluable member of the building control team. Whilst we couldn’t see any representation from the construction industry on this list we felt there were two reasons it deserved a mention firstly to provide role models for those in industry who are unsure of how to deal with issues around sexuality and the workplace. Secondly if you take a close look at the pink list you’ll see some of the names are closely linked to the public sector purse strings. The everywoman in Technology Awards seek to recognise and celebrate the success of women working in this fast-growth sector, encouraging more women into the industry and ultimately providing a pipeline of talent and future industry leaders. Arup has been awarded an ‘Achieving’ SET Fair Standard Award for excellence in gender equality best practice from the UKRC. 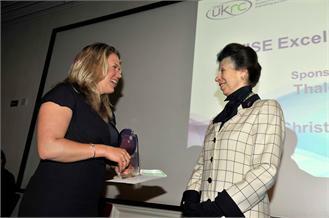 The UKRC’s SET Fair Standard is the gender equality award for businesses and organisations in science, engineering and technology (SET), including the built environment and IT. 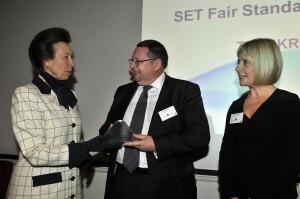 The winners of the 2011 WISE (Women in Science and Engineering) Awards were announced at a prestigious ceremony on Wednesday 19 October at London’s Institute of Engineering and Technology, with Her Royal Highness The Princess Royal. It was great to see the Built Environment walk away with the top prize Mechanical Project Engineer Claire Jones, who works at Sellafield in Cumbria, won £1,000 and the WISE Excellence Award, sponsored by Thales UK, for being an inspirational role model for girls and young engineers.